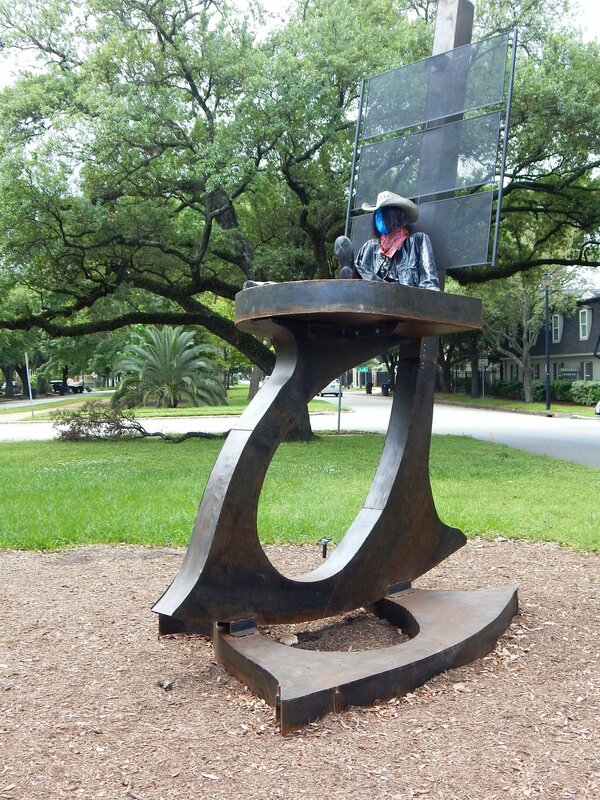 Rich Martin Homes > The Heights & Greater Heights > Heights News & Events > Heights Blvd Art-True South. 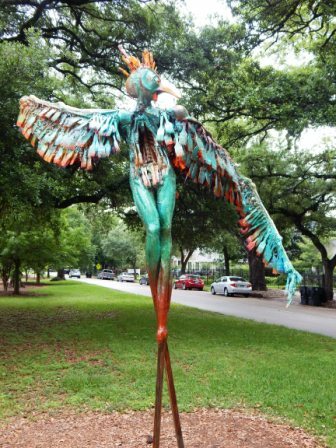 Last year the guys at Redbud Gallery in the Heights installed True North…displaying art on Heights Blvd. See Twisted Heights for some images of these. 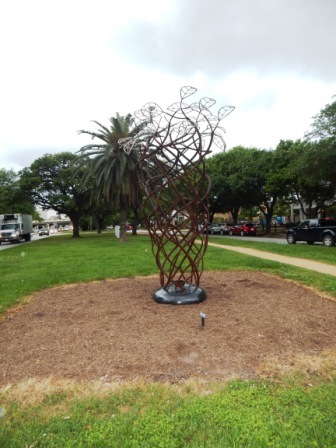 Redbud’s second projects on Heights Blvd is True South – A Historic Trail of the Arts (2nd Annual Sculpture on the Boulevard). 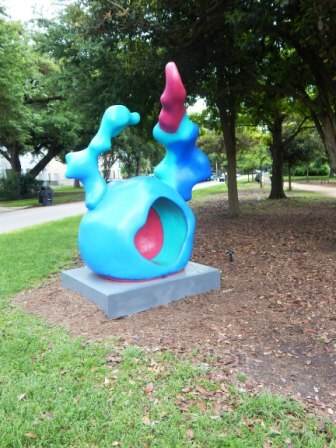 These on on view April 15 through December 15, 2015, all along Heights Boulevard. Redbud’s Co-Curators, Gus Kopriva And Chris Silkwood put this together with the following artists: Joe Barrington, Mark Bradford, Tara Conley, Kermit Eisenhut, Tim Glover, Sharon Kopriva, Hans Molzberger and Emily Sloan. Here is a link to their previous project True North. 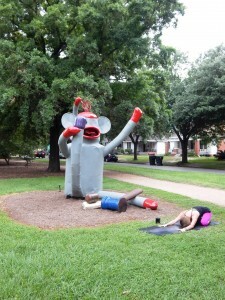 Here are photos I took today of some of the installations…sorry about those..I’ll add them later.